1. 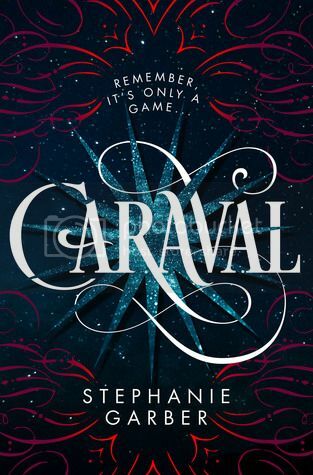 Caraval by Stephanie Garber - Ok, ok... I've talked about this book a LOT lately, but I can't help it. It sounds really great. I'm starting it soon, and I'm really excited to finally read it! 2. 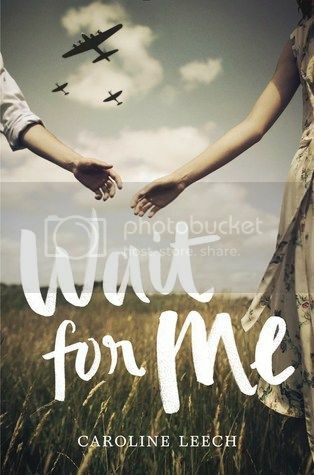 Wait for Me by Caroline Leech - I really want to read more historical fiction this year, WWII fiction in particular, and this book sounds like exactly what I'm looking for. I'm super excited to get my hands on it! 3. 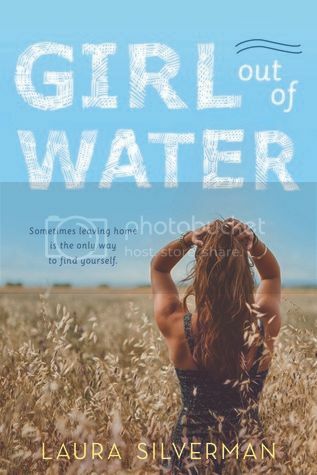 Girl out of Water by Laura Silverman - I follow Laura on Twitter, and her tweets for the book have me super excited to read it! Also, if you don't follow her already, you totally should. 4. 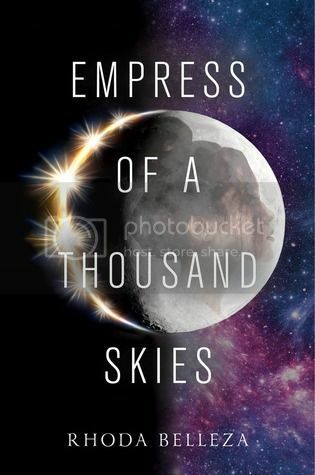 Empress of a Thousand Skies by Rhoda Belleza - I had somehow not heard of this book at all until a copy showed up on my doorstep one day. Once I looked into it, I became even more excited to read it! 5. 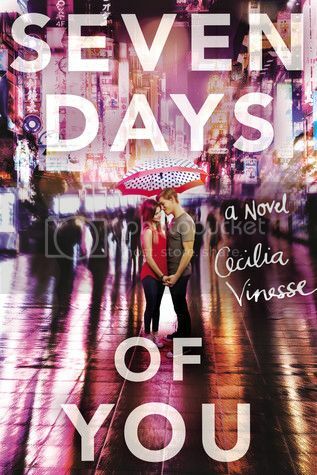 Seven Days of You by Cecilia Vinesse - This is another book that just recently appeared on my radar, but sounds really good! I absolutely can't resist a good love story. 6. 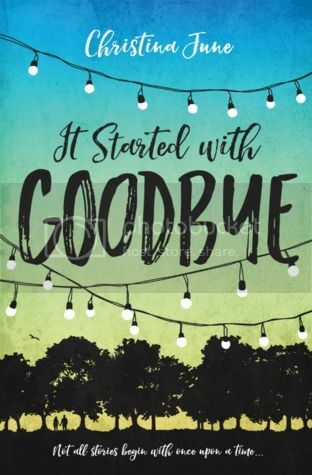 It Started with Goodbye by Christina June - Ahhh, a modern Cinderella story. Yep, count me in!! 7. 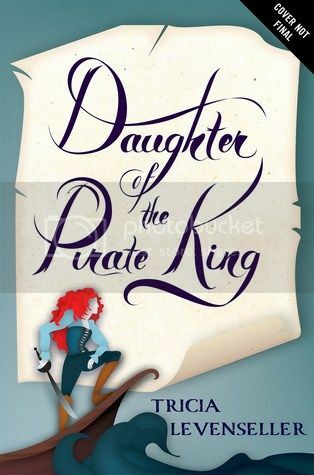 Daughter of the Pirate King by Tricia Levenseller - YES! Why are there not more books where the leading lady is a pirate captain?!?! I am SO EXCITED TO READ THIS!! 8. 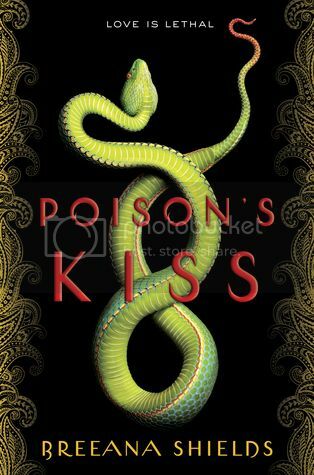 Poison's Kiss by Breeana Shields - That cover! So pretty! Also, I am absolutely intrigued by the summary for the story. I need to read this book, asap! 9. 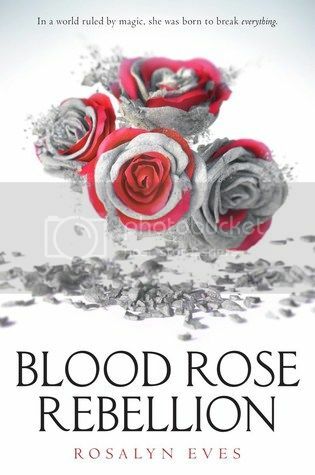 Blood Rose Rebellion by Rosalyn Eves - The first thing that drew me to this book was that stunning cover. Ugh, I'm such a sucker for gorgeous book covers. *grin*. The story sounds really awesome, and I'm excited to check it out! 10. 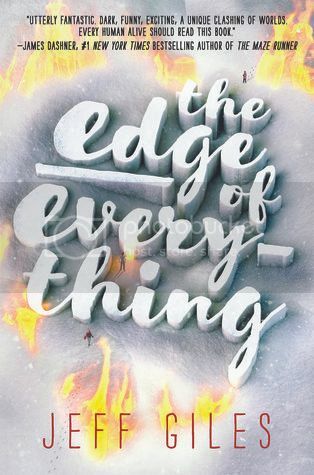 The Edge of Everything by Jeff Giles - Another book that I've been talking about a lot lately! I'm hearing great things about this book, and I actually have a copy, so I'll be starting it soon! OOh nice! I am curious about Poison's Kiss and Blood Rose Rebellion. Of course I too have my eye on Caraval! Great picks! Great list. I'm excited for Caraval, Empress of a Thousand Skies, and Blood Rose Rebellion too. Wait for me sounds so good! You have a really great list! Caraval was wonderful btw. Wait for Me sounds so awesome! I recently heard about the Edge of Everything and it sounds so intriguing.